As if to be living in a dream, Bulcock Beach has it all! Whether you are longing for a getaway with your sweetheart, a fun-filled mini vacation with the family or a refreshing setting for a relaxed business meeting Bulcock Beach is definitely the place for you. With limitless activity options, delectable seafood, and ice cream options, and a breathtaking view there is nothing that quite compares to the potential adventures in store for you and your loved ones at Bulcock. Imagine enjoying the first light of the sunrise kissing your face, being greeted by a plethora of coffee shops, sitting down for a scrumptious lunch of fish and chips, fearlessly diving into the crisp ocean waters, taking in a walk in the arvo with your dog, cooling your tongue with rich refreshing ice cream, and finally releasing a kite to soar against the colorful sunset. All this and more is at your fingertips for the rest and relaxation you need from the quandaries of day-to-day life. For further expeditions, rent some paddles and explore the channel in the estuary. Go for a ride down the rushing currents for an exciting thrill and to reconnect to the heart of nature. A majestic rocky landscape along the shoreline provides both a fabulous view for your eyes to feast upon and an excellent terrain to cast out a line and patiently await an opportunity to catch dinner for the family. For those who tend towards the shopping scene will not go wanting, for all you could need is right along Bulcock Beach. While you stroll and shop you are sure to become famished at some point during the day. Have no fear, for food of all sorts is ready and waiting to nourish your body and soul. Once you have completed your shopping for the day perhaps watching the splendor of nature while sipping on an iced cappuccino would tickle your fancy. Dolphins frequently swim with their calves, and osprey carries dinner to their chicks along the front at the Norfolk Pines, and Kangaroos reside along the beach opposite of Bribie Island. The northern tip of the beautiful Bribie Island seems to be a mere stone’s throw away from Bulcock Beach. Some other stunning views on Bulcock Beach are the majestic whales gliding by the shoreline, the glorious white sand that glistens when touched by the energizing rays of sunlight, and gaze upon the silky spotted sting rays that dance in the turquoise sea. Nature has beautiful surprises everywhere you go, and Bulcock Beach is the perfect place to basque in nature’s all-encompassing elegance. To wrap up your family’s day of sun and fun, take a stroll down the wonderfully maintained boardwalk, watch the talented kite surfers as they go for their final surf of the day, and then enjoy a delectable dinner at one of the buzzing bars or quaint cafes as you peer out at the Glasshouse Mountains while the sun hides below the horizon once again. Bulcock Beach is precisely the location that is ready to cater to all needs with safely patrolled beaches and a sanitary vicinity to keep your family safe and happy. The grounds are wheelchair accessible and well prepared to accommodate children so that they may have the sanitary, safe, and fun environment they need to spread their wings. If you want a bit more surf check out the next beach long the boardwalk – King’s Beach, Caloundra. As your feet are dancing to the last tune the Rainbow Lorikeets belt out at dusk, your heart is yearning for the satisfying, cool comfort of air-conditioned solitude. By installing your very own personal unit by Air Con Sunshine Coast you are sure to never question the quality of your air con unit again. Your priority is to be sure your family is healthy and well cared for. Here at Air Con Sunshine Coast, we hope to stand with you in support of caring for your family with the best quality of air con units for your family’s home so that your protected space continues to be the cleanest environment all throughout their crucial years of development. 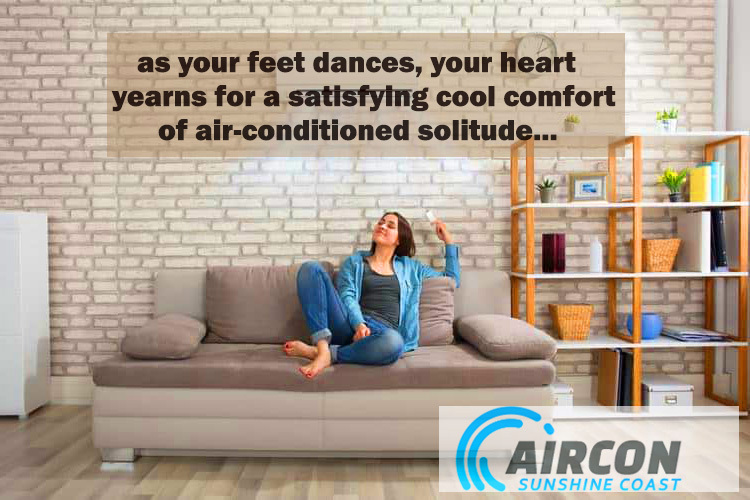 For more detailed information, please go to the Air Con Sunshine Coast homepage at www.airconsunshinecoast.com.au as you seek out your next family air conditioning unit.